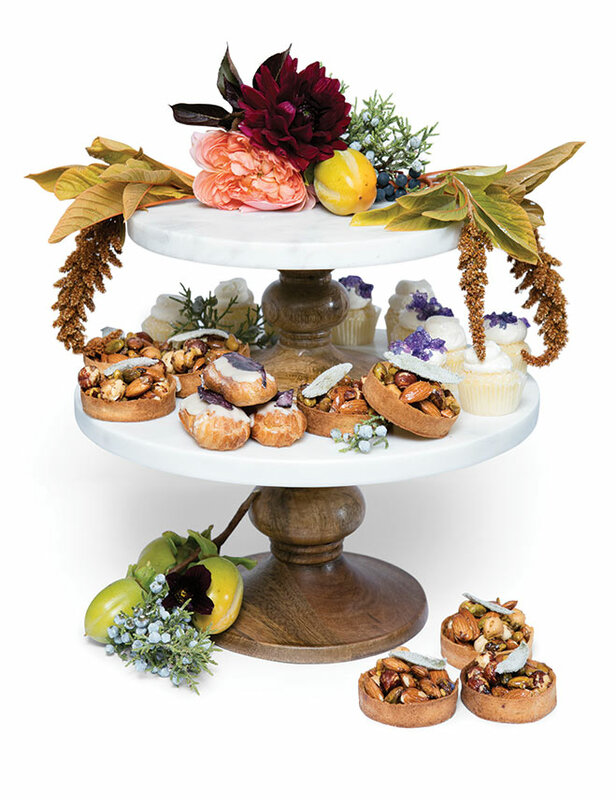 Bend favorite Foxtail Bakeshop creates decadent dessert bars with rustic twists on classic sweets, including mixed-nut sage caramel tarts, roasted plum and maple éclairs, and brown butter and orange-scented pixie cupcakes. Prices start at $10 per guest. Florals by Heirloom Floral Design. Elvebak designed this stationery suite inspired by her company’s new home in Bend. 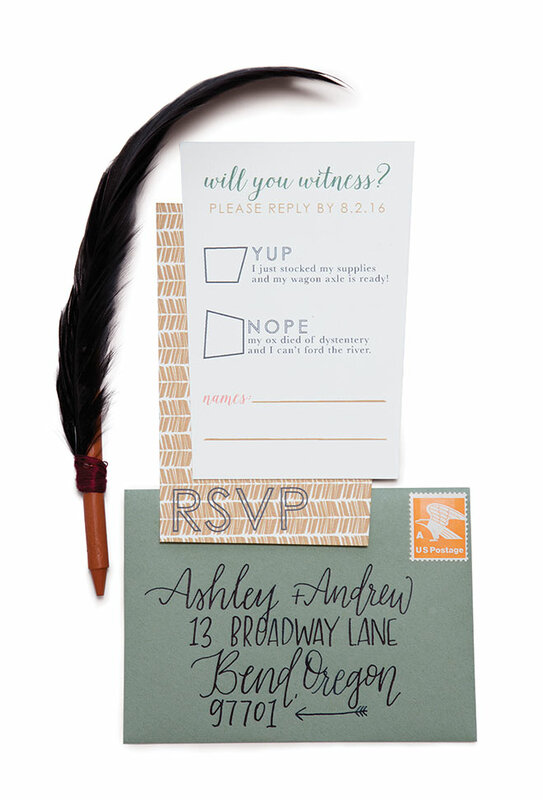 Birch wood veneer invitations come with coordinating cards printed on recycled linen and feature clever text and vintage stamps. $975 for 100. Envelope calligraphy by My Fair Letters, $3 each for the mailing and RSVP envelope. Made locally in Bend, Lava Love soap contains Oregon volcanic bentonite clay, zeolite and pumice. 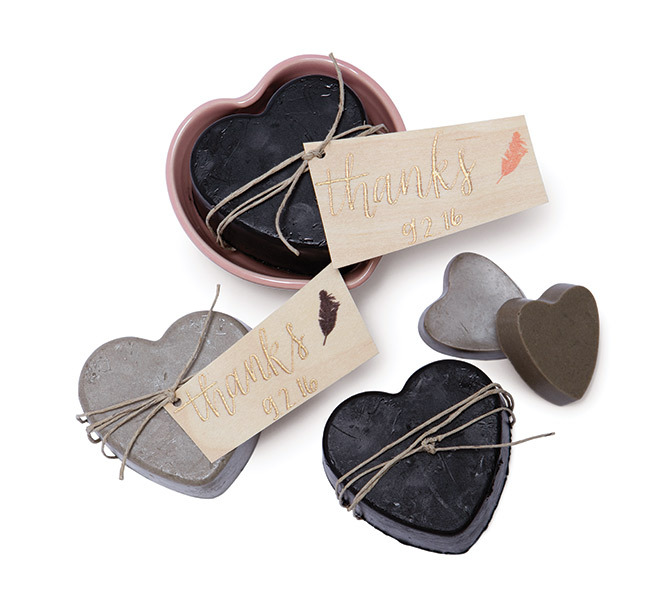 A sweet favor idea, the heart-shaped soaps can be dressed up with a wood veneer favor tag and hemp string. $10. Oregon’s state gemstone, the Eastern Oregon–mined sunstone contains tiny flakes of copper that gives the stone its shimmer effect. 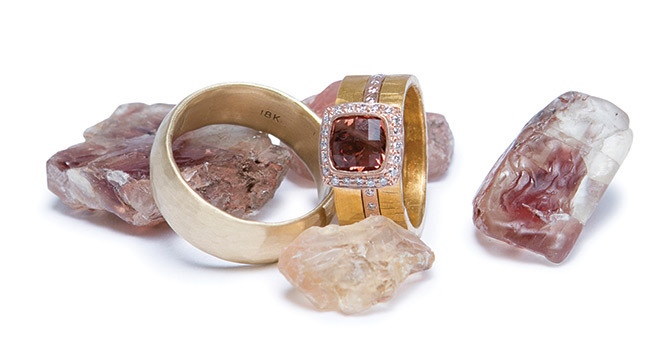 This custom ring by Pave Fine Jewelry in Bend surrounds a 1.62-carat sunstone with .5 ctw diamonds set in rose gold. $5,000. Matching men’s wedding band, $1,600 also from Pave Fine Jewelry. 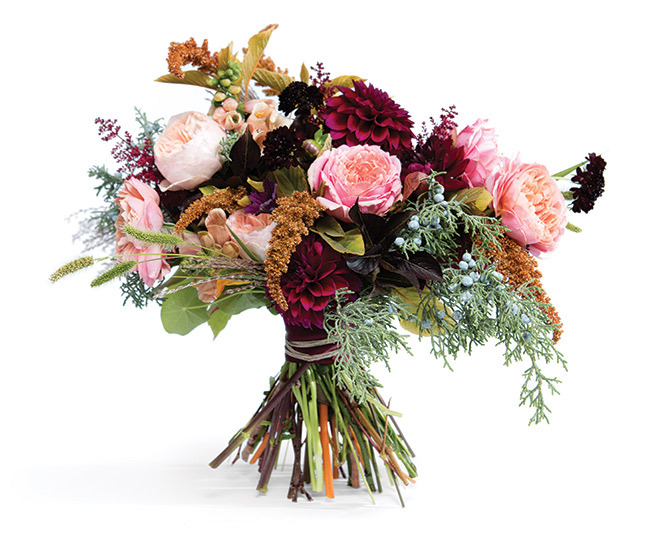 Locally forged and grown juniper, Virginia creeper, amaranth, scabiosa, dahlias, garden roses and foxglove combine for a stunning bouquet by Heirloom Floral Design in Bend, $200.